Dubai: Talented wrist spinner Kuldeep Yadav has moved up a notch to grab a career-best second position in the latest ICC T20 International rankings, where India maintained their second position behind Pakistan despite dropping two ranking points. 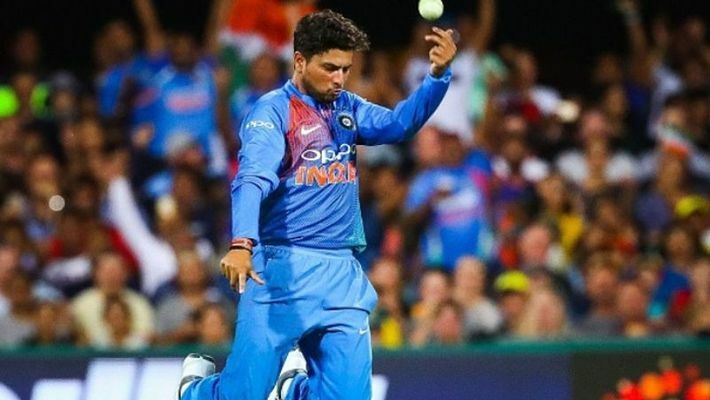 Kuldeep scalped 2/26 in the final T20I against New Zealand, which his side lost by four runs to go 2-1 down in the series. There's a new No.2 bowler in T20Is! There are no other Indian bowlers in the top-10. Kuldeep's spin bowling partner Yuzvendra Chahal after an indifferent series against New Zealand, dropped six places to be 17th while Bhuvneshwar Kumar maintained his 18th rank. In the batsmen's list, Rohit Sharma, who captained India in Virat Kohli’s absence, swapped three places with compatriot KL Rahul, who didn't feature in the recently-concluded series. Rohit is seventh as per latest rankings while Rahul has slipped to 10th place. Rohit's opening partner Shikhar Dhawan has gained a place to be 11th while Kohli's absence from the series affected his ranking. The Indian skipper dropped four places to be jointly 19th with Zimbabwe's Hamilton Masakadza.